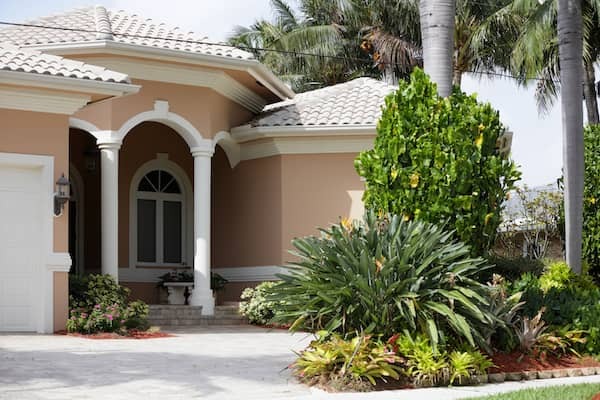 Chief Inspection Services offers professional home inspection services to Central Florida. 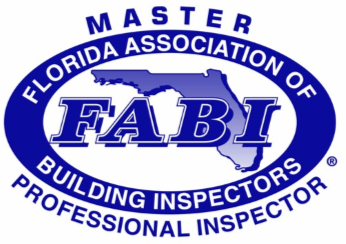 Our inspections are performed by a FABI-certified Master Professional Inspector, complying with the association’s commendable Standards of Practice. It’s our goal to protect our clients as they prepare to buy or sell a home, educating them on the condition of the home, how it operates, and how it should be maintained. Our buyer’s inspection involves a meticulous visual assessment of any residential property. The inspection is completely non-invasive and designed to determine the overall condition of the home and most readily accessible components. We offer professional inspections of commercial properties, ranging from retail outlets to warehouses and office spaces. Before you commit to an investment, this inspection will give you insight into the overall condition of the property by identifying any defective structural components or mechanical systems. When the weather goes south, it’s important for your home to be able to withstand the elements. The presence of wind mitigation implements will not only protect your home—but will also qualify you for several insurance credits. We’ll inspect a home to see what wind mitigation measures are currently in place, offering recommendations for additional protection in our comprehensive report. If you intend to sell your home, a Pre-Listing Inspection is a great way to ensure that the property is in good condition and representative of your asking price. We’ll evaluate the readily accessible systems and structural components for any defects, giving you a chance to schedule repairs as you see fit before your home hits the market. Wood-destroying organisms—most notably termites—inflict thousands of dollars worth of damage to homes every single year. This inspection will check for existing termite damage as well as ongoing infestations so that you’re aware and your prospective investment is protected. Before you move into your newly constructed home, it’s a good idea to have it evaluated by an unbiased third party. We recommend scheduling this inspection prior to the builder’s final walkthrough so that we can provide you with a full report of any defective materials or unsafe components before the contractors have wrapped up their work. Infrared thermography is a tremendous asset to the home inspection industry. By using a specialized, high-resolution camera, we’re about to detect the infrared signatures of scanned components. This helps us to determine areas of energy loss, moisture intrusion, and electrical hotspots. A Phase Inspection involves a professional third-party evaluation of ongoing residential construction at several different stages. This helps to ensure that construction stays on track, that no defective materials are used, and no oversights occur. We’re able to perform inspections during the following stages: pre-slab, masonry and high beam installation, framing installation, pre-drywall, roof dry-in, and prior to the final walkthrough. An Annual Maintenance Inspection is highly recommended for every homeowner. During the inspection, we conduct a thorough evaluation of your home, looking for deteriorating or defective components in need of improvement or repair. We’ll also provide several additional maintenance tips to help keep your home in continuously good condition. If you’ve owned a new home for less than a year, then it’s likely protected by a 1-year warranty from the builder. An 11th Month Inspection involves a careful assessment of most readily accessible components and mechanical systems, after which we’ll compile a full report of our findings. Depending on the terms of your warranty, if repairs are necessary, you may be exempt from having to pay for them out of pocket. This inspection is performed before and after a hurricane has impacted the state of Florida. We’ll document the existing condition of the home before the storm, returning afterward to assess any damage sustained from water or wind—giving you a better idea of how the home holds up to severe weather and what improvements need made to protect the property. This inspection is a common requirement for insurers before they’re willing to issue a policy on older homes. It consists of a careful evaluation of several important areas: the roofing system, electrical system, plumbing system, and HVAC systems. If the condition of these systems satisfies the property standards of your insurer, the home will likely qualify for coverage. This service is for clients who intend to build a home and would like the assistance of a professional who has substantial experience in the construction industry. We’re available to offer consultations on scheduling, budgeting, subcontracting, or any other aspects of the homebuilding process. We offer Draw Inspections in order to provide a reliable assessment of an ongoing construction project, ensuring that current progress and stored materials are in line with the original loan request. Our inspection will also determine if the contractor is compliant with the planned budget and proposed timeline of construction. At Chief Inspection Services, evaluating the quality of a home is our job—and educating the homebuyer is our specialty. Contact us today to request your inspection.